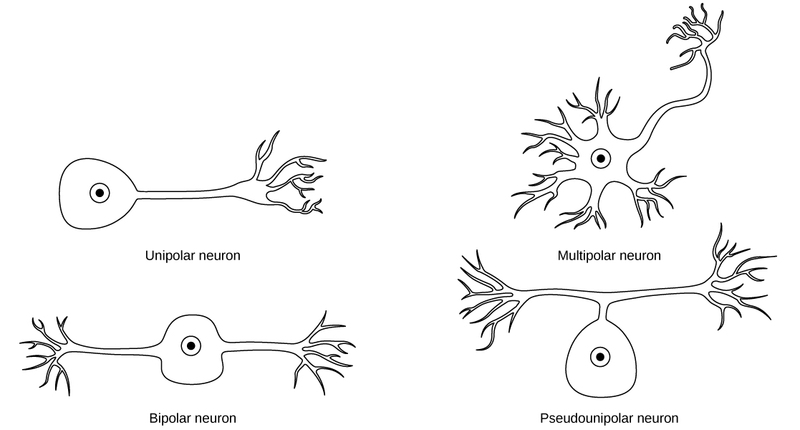 The cell body of a neuron collects information from which structure? Cell body of a neuron receives information through fine cytoplasmic branches termed dendrites. There remains only one dispatching branch, called axon. In primitive group of diploblastic Coelenterata, where neurons first appear, any cytoplasmic branch is capable of receiving stimuli and dispatching nerve impulses. Such primitive neurons are nonpolar in nature. Some neurons lack dendrite and are capable of receiving stimuli directly by the cell body (unipolar) .